With both traditional Irish flair and a touch of New York, The Mellon Country Inn is a newly refurbished three-star hotel situated just four miles outside of Omagh on the main Derry to Dublin Road. Known for our warm Irish-American hospitality, friendly staff, scenic views and great food prepared by our award-winning Head Chef and his team, The Mellon is the perfect place to relax in style! 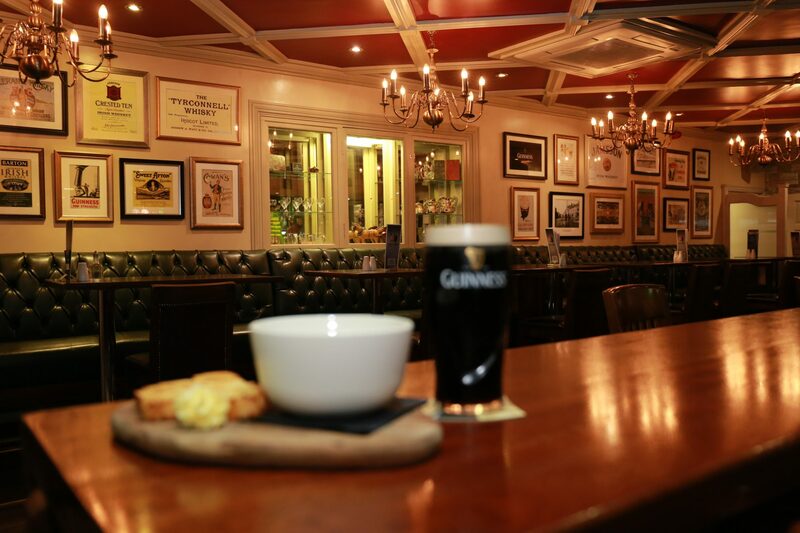 In the evening, enjoy the cosiness of our O’Brien’s Bar, and meet the locals over a pint. Or why not treat yourself to our Afternoon Tea, prepared specially by our own in-house baker? Nestled in the foothills of the Sperrin mountains, the hotel is the region’s most popular spot for leisure activities such as walking, cycling, fishing and golf. An ideal location to discover the natural beauty of Tyrone, The Ulster American Folk Park and beautiful Gortin Glen are just minutes away. Avail of our great Active Retirement breaks! Couples ‘Sperrin Stay Retreat’ from just £120pps. Experience the comfort of our recently refurbished rooms and the delights of our carefully prepared Welcome Platter on arrival. Enjoy a 3 hour Private Hot Tub and Full Body Lava Shell Massage, before retiring to Dunmoyle Forest Spa’s calming Relaxation Room.Awarded The Best Hotel and Guesthouse Restaurant in Tyrone by The Irish Restaurant Awards 2018, dine in our O’Brien’s Bar and Restaurant and spend time together over a delicious three course meal and complimentary Bottle of Wine. Morning Breakfast included. Terms and Conditions: Package subject to availability. Please note that Spa Treatments are not available on Sundays. Due to its popularity, this package has a cancellation policy of a minimum of seven days notice.